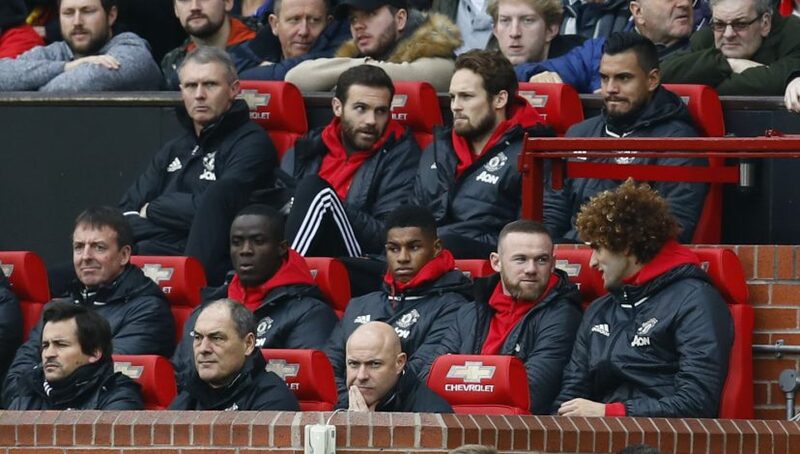 The Football world witnessed Manchester United’s financial muscle by naming the most expensive reserve bench in FA Cup history against Blackburn on Sunday. The combined total of the seven players warming the dugout was a staggering £192 million, with substitutes Paul Pogba and Zlatan Ibrahimovic joining hands to score United’s winner. What’s interesting is two of the players – Ibrahimovic and academy product Dean Henderson – cost the Red Devils nothing in transfer fees. World’s most expensive player Pogba cost the most, with his £89 million value worth almost as much as the remaining of the bench put together. Juan Mata remained the next most expensive – Man United splashed out £37 million to land the Spaniard to Old Trafford from Chelsea in 2014. Luke Shaw and Eric Bailly cost £30 million each, while Bastian Schweinsteiger’s fee of £6.5 million completing the mammoth total. Previously, Manchester City had held the record for the most expensive FA Cup bench – Pep Guardiola gathered £169 million worth of talent in the bench against Crystal Palace last month. As expected, Jose Mourinho decided to introduce his super subs after the break with the score at 1-1. Pogba, Ibrahimovic and Mata were all sent on in search of a winner and it was the former two who proved decisive. Pogba’s lofted pass for Ibrahimovic caught the Blackburn defense weak-links and the Swede swiveled and fired home. United had earlier gone behind to a Danny Graham goal, before Marcus Rashford’s equalizer confirmed it was all-square at the end of the first half. Ibrahimovic’s strike came 15 minutes from the end, with late equalizer from Blackburn rightly ruled out for offside. Manchester United will now face Chelsea at Stamford Bridge in the quarter finals on the FA Cup.